New chapbook by Claudia Cortese! Claudia Cortese’s poems and lyric essays appear in Best New Poets 2011, Blackbird, Black Warrior Review, Crazyhorse, Mid-American Review, and Sixth Finch, among others. Author of the chapbook Blood Medals (Thrush Press 2015)–which explores suburban girlhood through a character named Lucy–Cortese lives in New Jersey. 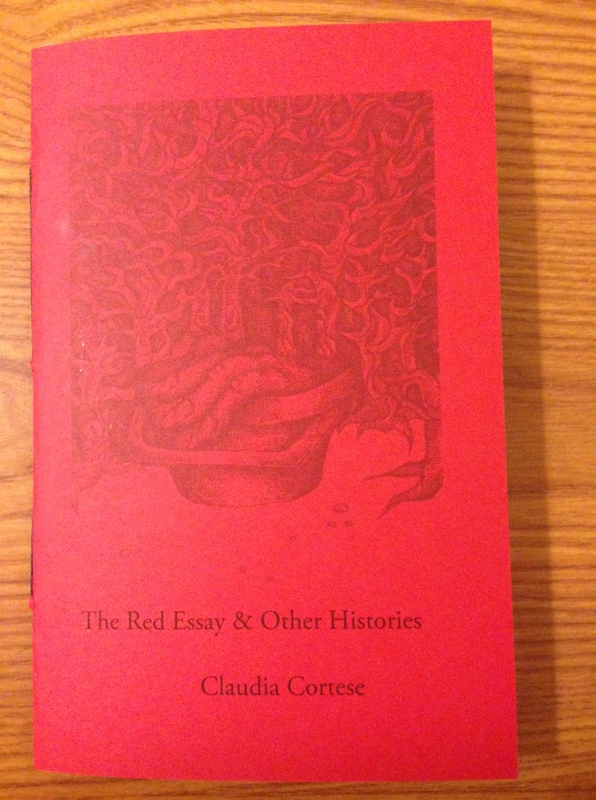 Order The Red Essay & Other Histories via Paypal.